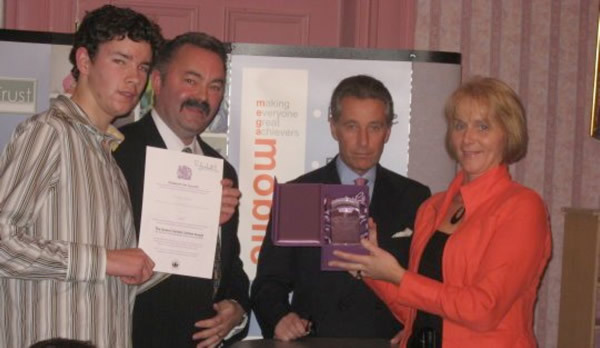 On 2nd June 2008 Crossfire Trust was one of three groups in Northern Ireland to be awarded the Queen’s Award for Voluntary Service. Notification of the award was received initially by letter from Sir Nigel Hamilton, Permanent Secretary to the Office of the First Minister and Deputy First Minister of Northern Ireland at the beginning of June. As part of the award process Ian Bothwell attended the Queen’s Garden Parties at Buckingham Palace on 8th July. 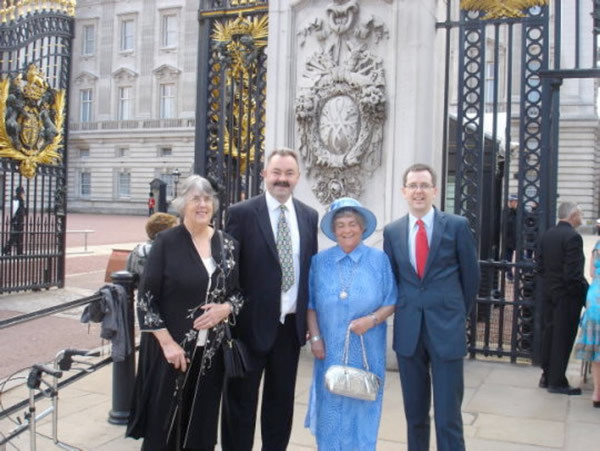 Ian was joined at Buckingham Palace by long standing volunteers Frances Bothwell, Patricia McCrory and Matthew Rawding. Click here to read about their day out. An official presentation of the award and the certificate was made by Lord Caledon, the Queen's Lord-Lieutenant of County Armagh on Friday 24th October at Darkley House. Click here for more about the presentation. Click here to see a copy of the award certificate.